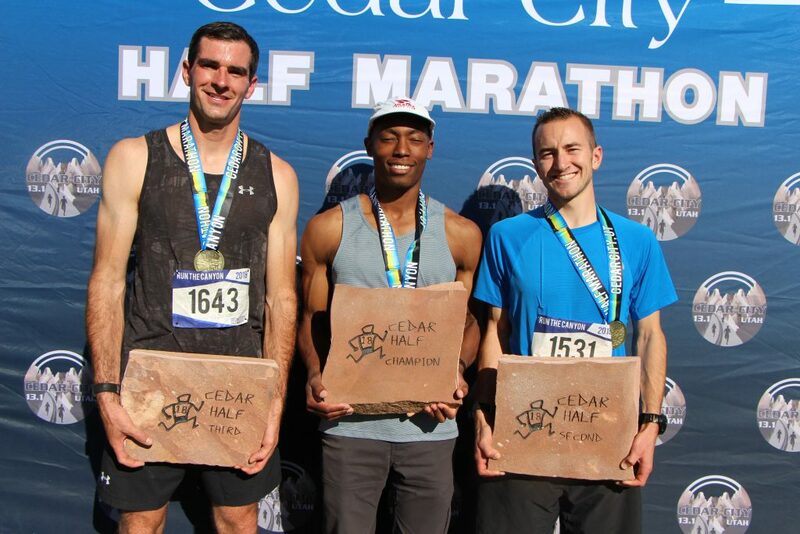 CEDAR CITY — Hundreds of athletes of all ages ran down Cedar Canyon on Saturday morning for the ninth annual Cedar City Half Marathon. New course records were established by both the men’s and women’s top finishers, race chairman Bryan Dangerfield said. The overall first-place winner was Joel Hackett, 26, of Atlanta, Georgia. Hackett, who was in Utah on vacation and is currently training for the New York Marathon, crossed the finish line in 1 hour, 14 minutes and 10 seconds. Devan Savage placed second in the men’s race with a time of 1:17:31, Ryan Wierzba was third with 1:17:59 and Matt Kynaston was fourth with 1:18:34. 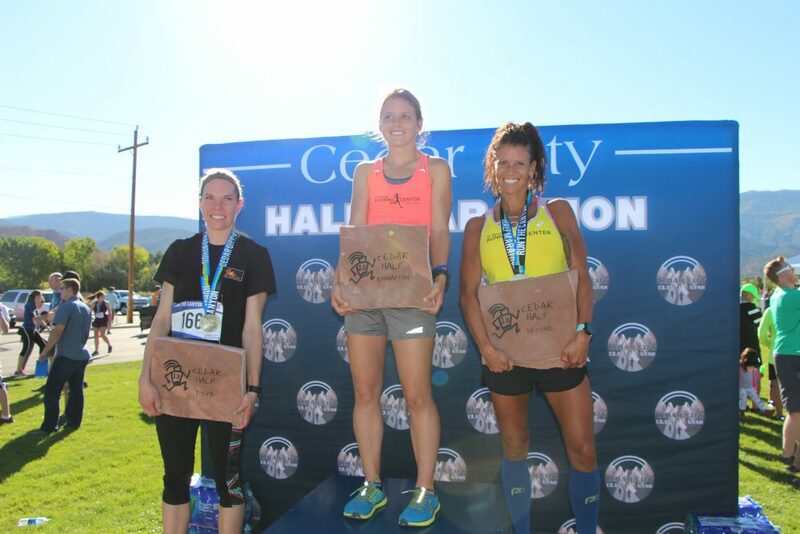 The fifth-place overall finisher was also the women’s category winner; Cedar City resident Ashley Hawks, 26, finished in a time of 1:19.08, a new female course record. 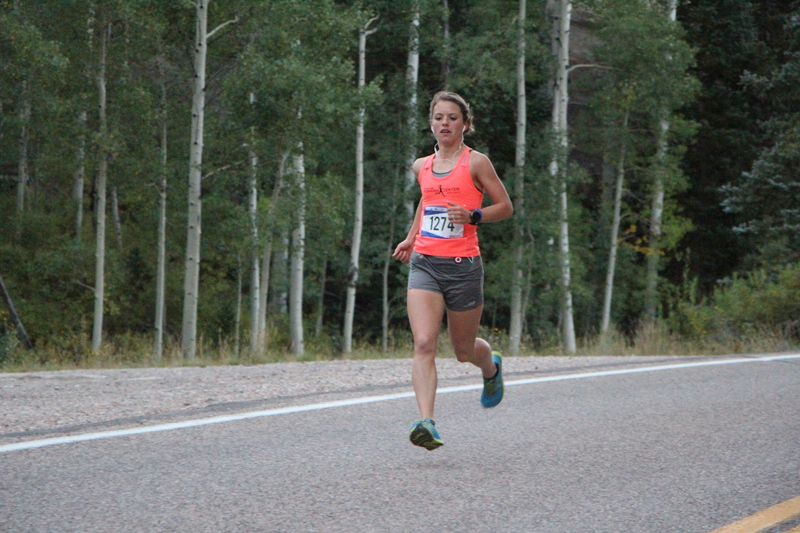 Sarah Skeem placed second among women with a time of 1:22:54 and Jenne Wittwer was third with a time of 1:25.25. 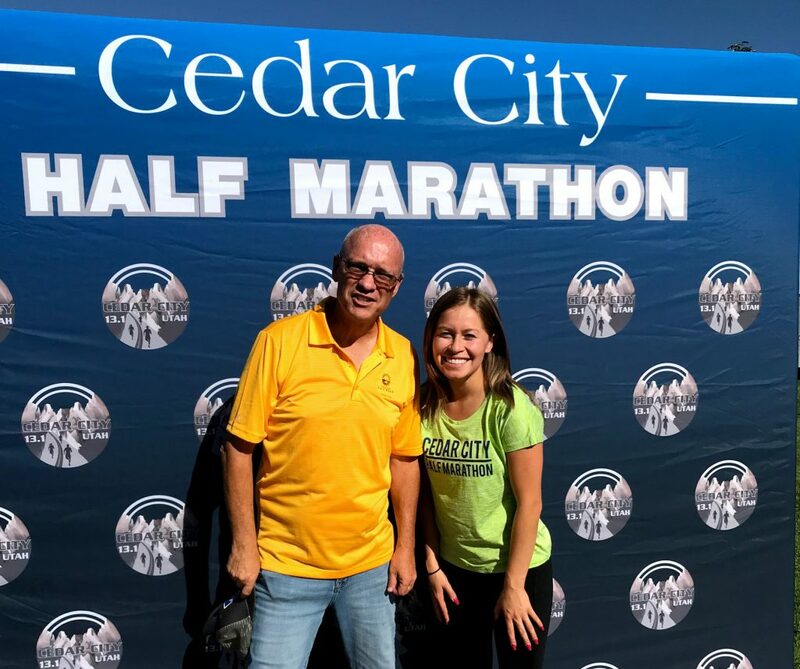 Of this year’s nearly 700 registered entrants, more than 550 runners completed the 13.1-mile race, which started near Woods Ranch, made its way down the canyon via state Route 14 and ended at Cedar City’s Bicentennial Soccer Complex. 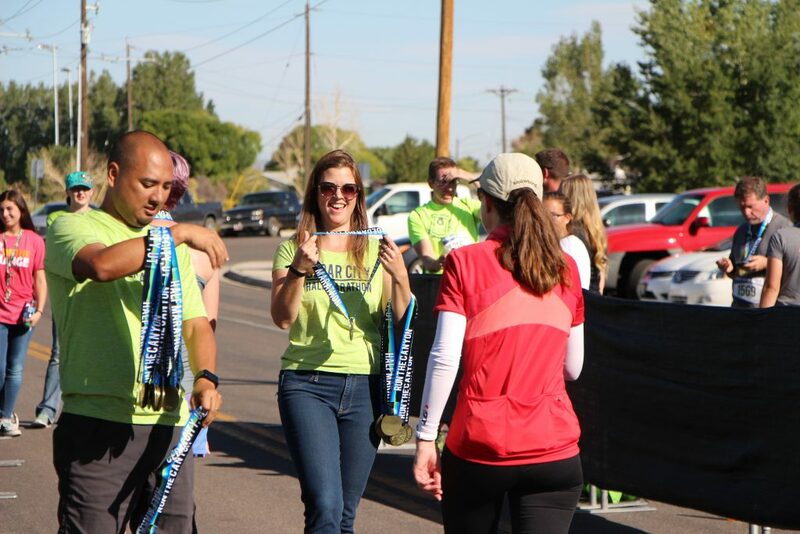 At the end, finish line director Ben Davidson gave each runner a high-five, and race volunteers placed medals around each finishing athlete’s neck. The youngest finisher was 8 years old, while the oldest was 75. Besides the half marathon, approximately 30 runners completed the shorter 5K trail run, with 9-year-old Tyler Christian winning that race in a time of 21:19. 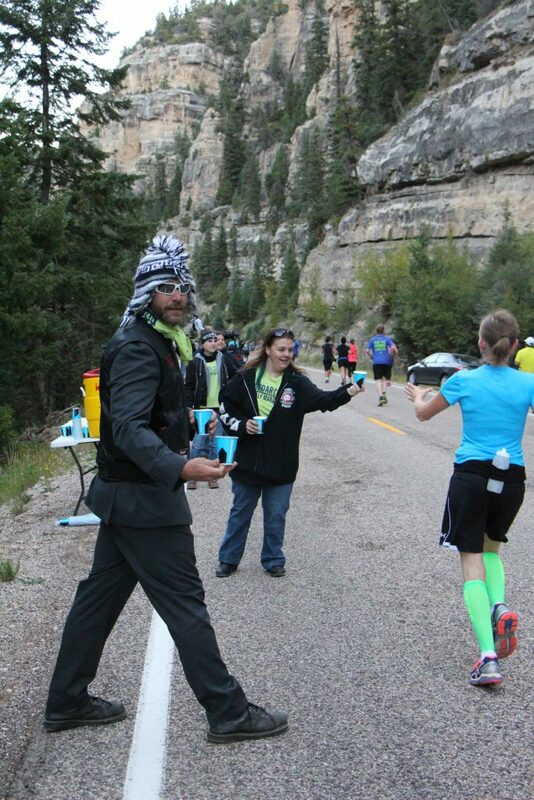 Dangerfield said race organizers decided to add an auditory dimension to the “sensory overload” the runners experienced as they ran through the spectacular canyon. 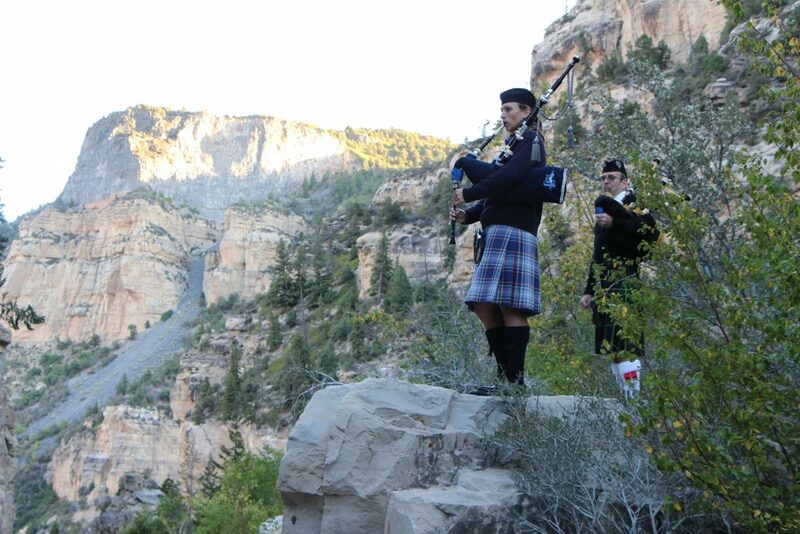 “We thought we’d add a few twists to this year’s magnificent run down the canyon by adding the bagpipers standing on Leap Rock by the Flanigan’s Arch Curve and having (local band) Fenwick Way rock the runners home at the 12-mile mark at the Little League fields,” Dangerfield said. “We hope to get better every year and keep the focus on quality experiences,” he said. 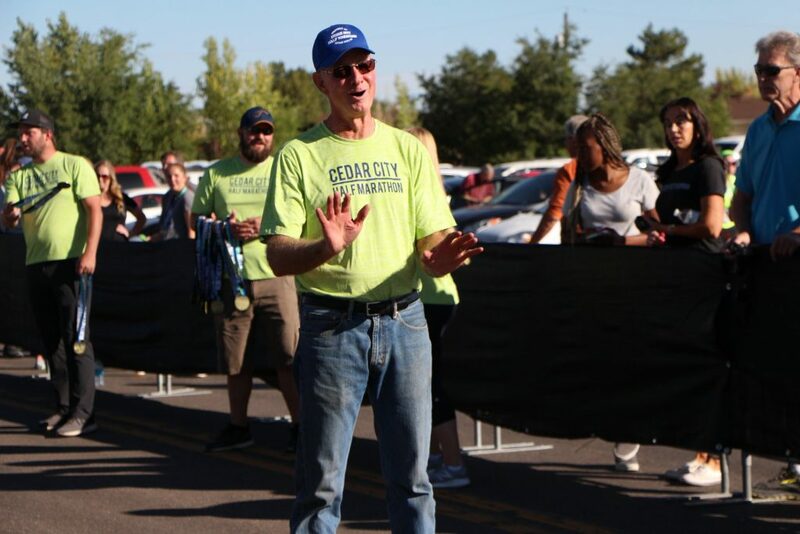 Dangerfield thanked the many race volunteers and organizers, including race director Ashley Wardle, for their efforts in making the event a success.